WASHINGTON — The computer server that transmitted and received Hillary Rodham Clinton’s emails — on a private account she used exclusively for official business when she was secretary of state — traced back to an Internet service registered to her family’s home in Chappaqua, New York, according to Internet records reviewed by The Associated Press. Clinton has not described her motivation for using a private email account — hdr22(at)clintonemail.com, which traced back to her own private email server registered under an apparent pseudonym — for official State Department business. The New York Times reported Monday that Clinton exclusively used a personal email account it did not specify to conduct State Department business. The disclosure raised questions about whether she took actions to preserve copies of her old work-related emails, as required by the Federal Records Act. A Clinton spokesman, Nick Merrill, told the newspaper that Clinton complied with the letter and spirit of the law because her advisers reviewed tens of thousands of pages of her personal emails to decide which ones to turn over to the State Department after the agency asked for them. In theory but not in practice, Clinton’s official emails would be accessible to anyone who requested copies under the U.S. Freedom of Information Act. Under the law, citizens and foreigners can compel the government to turn over copies of federal records for zero or little cost. Since Clinton effectively retained control over emails in her private account even after she resigned in 2013, the government would have to negotiate with Clinton to turn over messages it can’t already retrieve from the inboxes of federal employees she emailed. Clinton’s private email account surfaced publicly in March 2013 after a convicted Romanian hacker known as Guccifer published emails stolen from former White House adviser Sidney Blumenthal. The Internet domain was registered around the time of her secretary of state nomination. Rep. Trey Gowdy, R-S.C., chairman of the special House committee investigating the Benghazi attacks, said the committee learned last summer – when agency documents were turned over to the committee – that Clinton had used a private email account while secretary of state. More recently the committee learned that she used private email accounts exclusively and had more than one, Gowdy said. President Barack Obama signed a bill last year that bans the use of private email accounts by government officials unless they retain copies of messages in their official account or forward copies to their government accounts within 20 days. 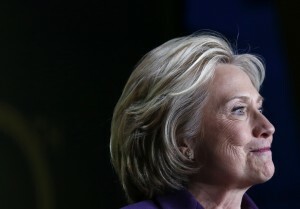 The bill did not become law until more than one year after Clinton left the State Department.